Governor Andrew M. Cuomo announced an unprecedented $16.2 million investment to further enhance Watkins Glen’s transformation into a world-class destination and cultural center – all part of his ongoing efforts to revitalize the upstate economy and create opportunities for the Southern Tier. 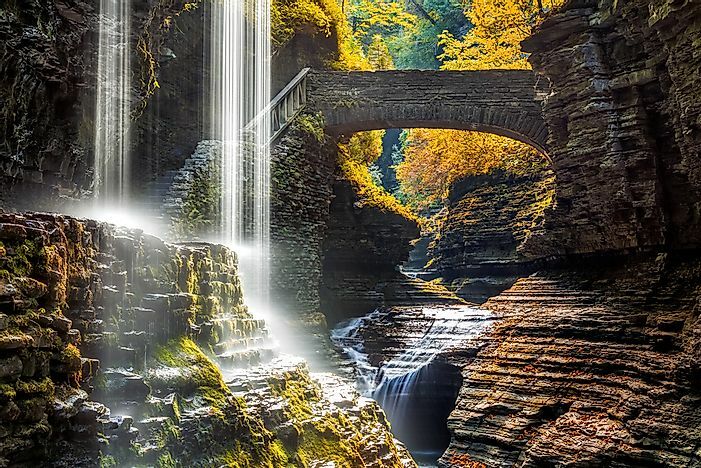 The projects announced today include $9.7 million for 14 Downtown Revitalization Initiative projects throughout the village and the new $6.5 million main entrance to Watkins Glen State Park as part of Governor Cuomo’s NY Parks 2020 program. The improvements are a component of Southern Tier Soaring, the region’s blueprint for economic growth. – Renovation of public restrooms. Combined with the recent $7.2 million investment announced to improve State Route 14 from the Village of Watkins Glen to the Town of Reading, Governor Cuomo’s commitment to the Southern Tier community has reached more than $23 million so far this year. Additionally, Governor Cuomo announced that the Village has become part of the Local Waterfront Revitalization Program to manage resources along the Seneca Canal system, securing this beautiful resource for generations to come.